Pumpkin the weight of a car sets record at American weigh-off contest! 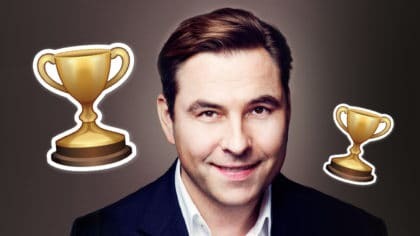 Despite a good effort, it wasn't a World Record winner! October wouldn’t be complete without Halloween and everyone’s fave halloween activity should definitely be pumpkin carving! In California, there was recently a big pumpkin festival! The competition attracts some of America’s largest pumpkins and their owners, all trying to out-do each other with their amazing growing skills. The owners, as well as thousands of spectators, watched as the fruits were carefully picked up by forklifts and placed on massive scales. 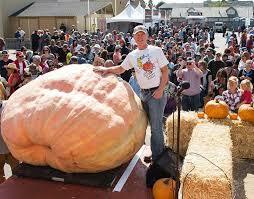 Seven-time winner Joel Holland won with a pumpkin weighing over 2,300-pounds. That’s over 1,000 kilograms, or about the same weight as an average car! 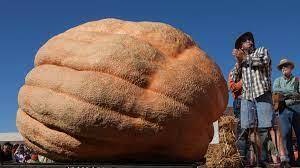 The pumpkin might look huge but is not a World Record breaker! Though there are numerous contests held across the country, this one in California is considered the best. Some even refer to the state as “The World Pumpkin Capital”!